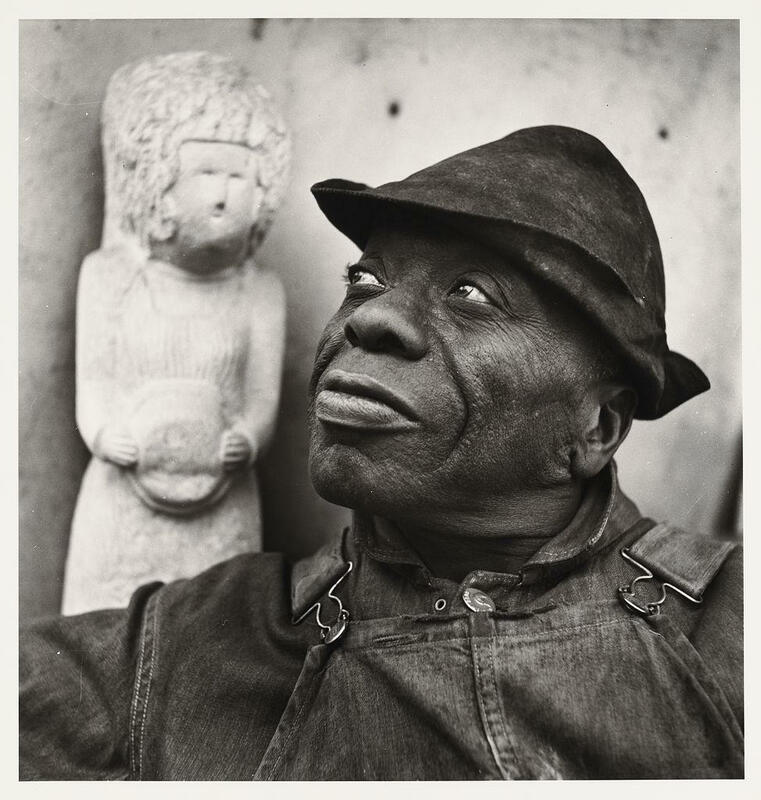 Photographer Louise Dahl-Wolfe took a series of stunning photographs of William Edmondson, and she was responsible for introducing his work to the Museum of Modern Art. 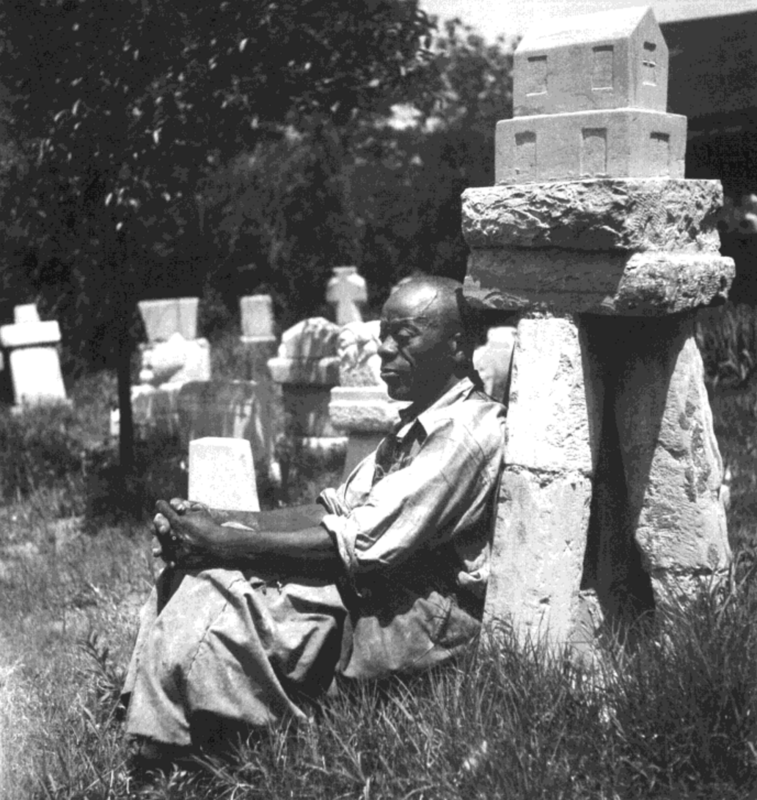 Edmondson became the first African American artist to have a solo show there. 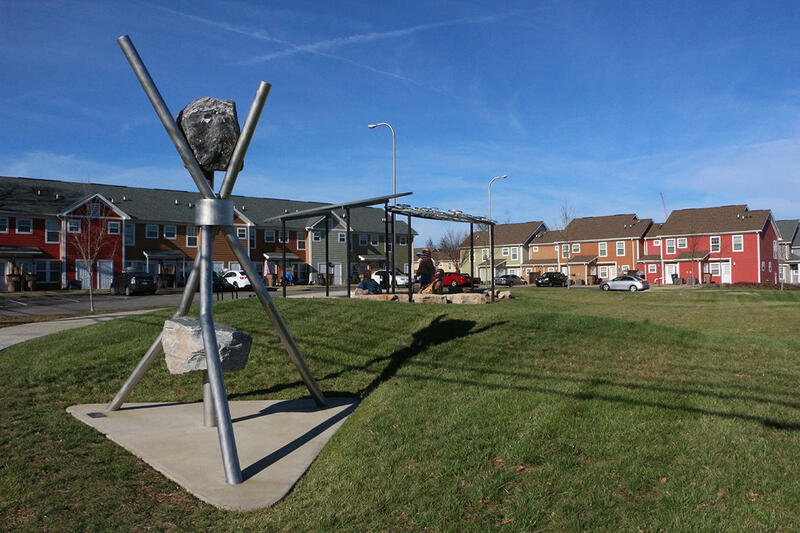 Murrell School, a Metro facility serving students with special needs, backs up to a park where a gazebo and a walking track cover the ground on which Edmondson's house stood. There is a marker from the Metro Nashville Historical Commission about half a block south of the home site. While most traces of Edmondson's life in Nashville have vanished, his significance in the art world has only grown in the 60-plus years since his death. Last year, his piece "Boxer" sold for $785,000 in a Christie's auction, a record high for an "outsider artist." 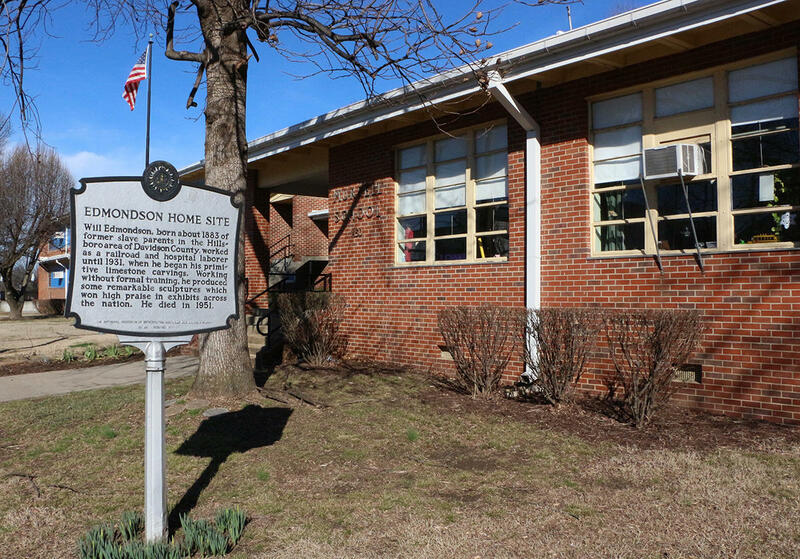 The historical marker near the site of Edmondson's home says he was born in 1883. Several books and articles say 1874 was his birth year. Edmondson himself said he wasn't sure and that the family Bible with his birth date was destroyed in a fire. William Edmondson had only been sculpting his now-iconic limestone figures for four or five years when fame essentially stumbled into his lap. He was in his 50s (as far as anyone knows) and had already led a hard life of farm labor, railroad work, and then a quarter century spent as a janitor and orderly at a women's hospital in Nashville. After he was laid off at the hospital, he famously said a vision from God called him to create "sermons in stone." Edmondson said the visions showed him tombstones and other shapes to carve as clearly as most people see clouds. 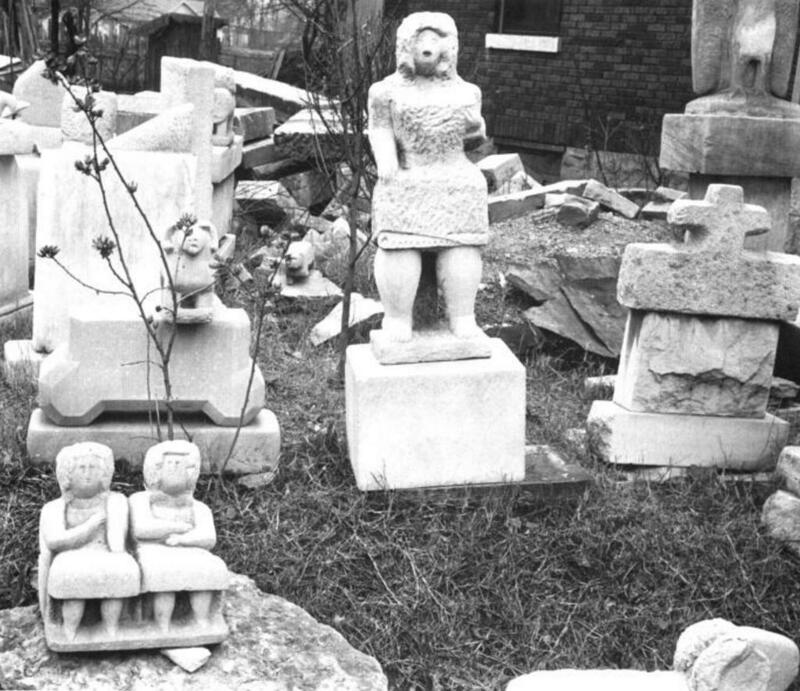 Edmondson's yard was filled with his tombstones, sculptures, and limestone scraps waiting to be carved. He admitted to thinking he couldn't do it at first, but said God beckoned him on as he began gathering scraps of limestone to his yard and shaping them with a hammer and a railroad spike in an open-air shed. Through the winters, he worked by a coal-burning stove. Neighbors said he worked long hours, whenever the sun was up on weekdays. Often on weekends, he had visitors looking to buy his work. He hung sign above the shed that read "Tomb-Stones For Sale. Garden Ornaments. Stone Work." The house was at 1434 14th Avenue South, and its proximity to Peabody College (now Vanderbilt's Peabody College of Education) proved fortuitous. Peabody professor Sidney Hirsch frequently walked past Edmondson's house, admired his work, and eventually struck up a conversation with Edmondson. According to Edmondson biographer Elizabeth Spires, Hirsch started a chain reaction that raised the artist's profile very quickly when he introduced the him to Alfred and Elizabeth Starr. The Starrs were well-connected art lovers, and they evangelized about Edmonson's work to their friend Louise Dahl-Wolfe, a photographer for Harper's Bazaar in New York. 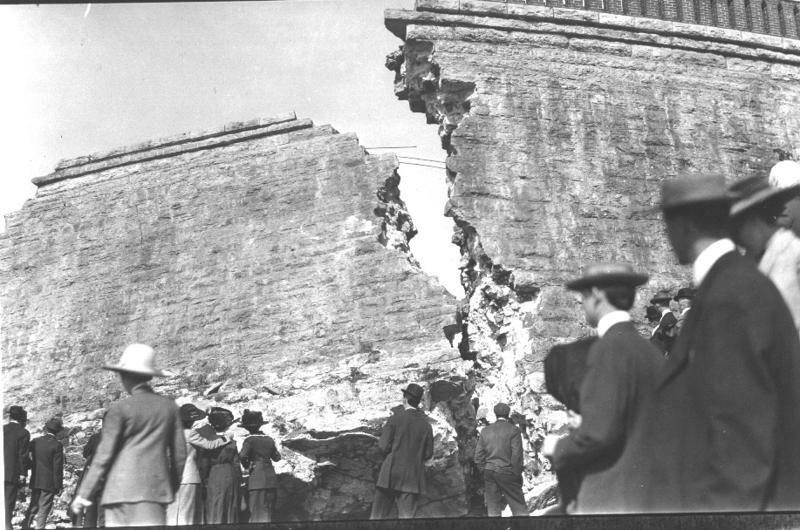 Dahl-Wolfe purchased some pieces and took several now-famous photos of Edmondson. Edmondson leans on "Noah's Ark" in his Nashville yard. She also spread the word to her friends in the New York art scene, including the Museum of Modern Art. Alfred Barr, Jr., MoMA's director at the time of his 1937 show, said that Edmondson sculpted "with extraordinary courage and directness to carve out simple, emphatic forms. The spirit of his work does not betray the inspiration which he believes to be his active guide." An exhibition in Paris quickly followed. The back-to-back high-profile shows cemented his status as one of America's most important "outsider" artists. But Edmondson said he never thought of himself as an artist until his fans began calling him that. "I had a vision. Yes, sir, I wuz jus' a little boy 'bout 13, 14 years old, doin' in de corn fields. I saw in de east world, I saw in de west world, I saw de flood. I ain't never read no books nor no Bible and I saw de water come. It come up over de rocks, covered up de rocks and went over de mountains. God, he jus' showed me how." Those corn fields he mentions were almost certainly on the Compton family's plantation where Edmondson was born, where his parents had been slaves — and it was right in the heart of what is now Green Hills on Hillsboro Pike. Edmondson was born in 1874… or 1883, or sometime in between. He said his birth record was destroyed along with the family Bible in a fire, and he wasn't sure of the date. And if you search archival news articles about him, you'll see a wide range of years when he was supposed to have been born. Growing up on that farm, Nashville was a three-mile walk up the road. Eventually, Edmondson, who never married, bought that house in Edgehill. Some of his five brothers and sisters apparently moved nearby: it's said he had nieces and nephews who hung around while he worked. Edmondson died at his home in 1951. Here's a map of the neighborhood just a few years earlier, in 1947, years before the map was changed by urban renewal. 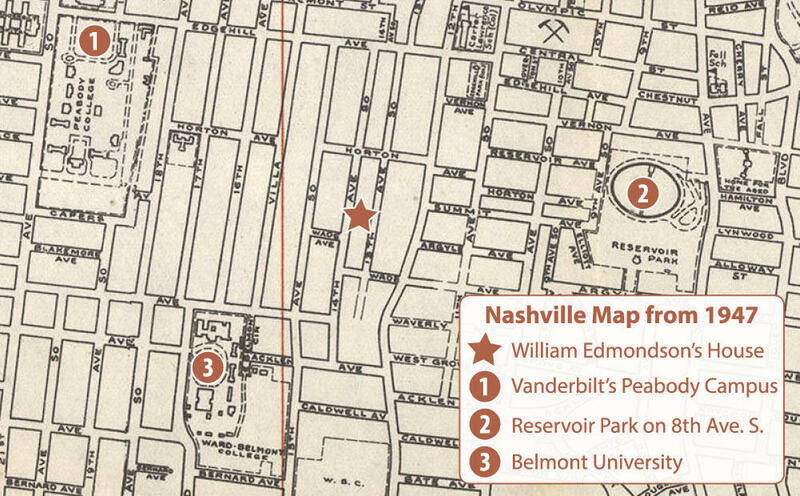 This section of a Nashville map from 1947 shows the streets as they were laid out during Edmondson's lifetime, before urban renewal cleared away Edmondson's block and those behind his house. Edmondson was buried in Mt. Ararat Cemetery. It's now called Greenwood Cemetery West, on Elm Hill Pike near Trevecca Nazarene University. But ironically, there is no tombstone marking this tombstone-makers grave. Either there was never a marker or his name faded with time. His location in the cemetery is unknown. On Charlotte Avenue between 16th and 17th Avenues North, there's a recently commissioned park dedicated to William Edmondson. It contains several pieces of sculpture, a celebration of Edmondson's legacy even if its location doesn't relate to the sculptor's life. If Edmondson's Edgehill home had not been torn down during urban renewal, it would surely be gone now. The smaller homes on 14th Avenue across from where Edmondson's once stood have all been torn down in recent years, and are now being replaced with much larger ones. Edmondson wouldn't recognize his own street today, save for the glimpse of the Belmont Mansion up the hill. The William Edmondson sculpture park on Charlotte Ave. features works by contemporary sculptors. In the foreground is "Supported by the Ancestors" by Lonnie Holley. And in the background, "The Gathering" by Sherri Warner Hunter. 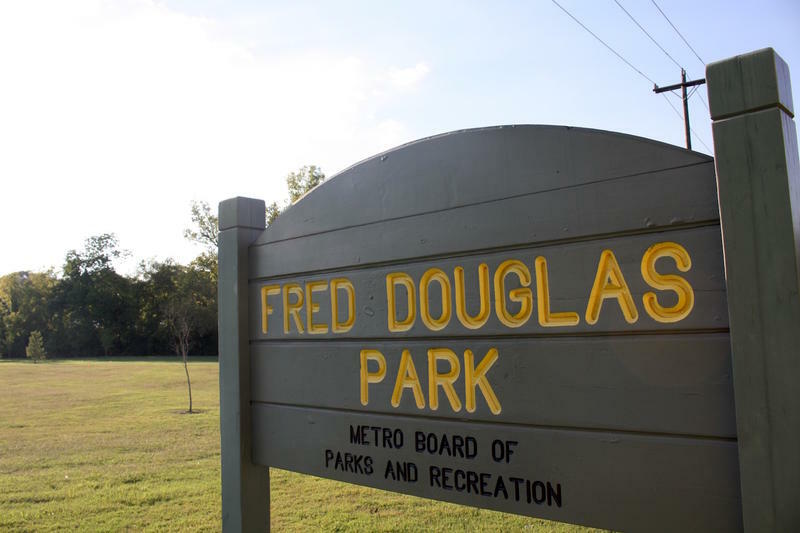 East Nashville's Fred Douglas Park may be formally renamed after famed abolitionist Frederick Douglass. The Metro Parks department is trying to figure out how the name came to be, and the answer remains far from certain. 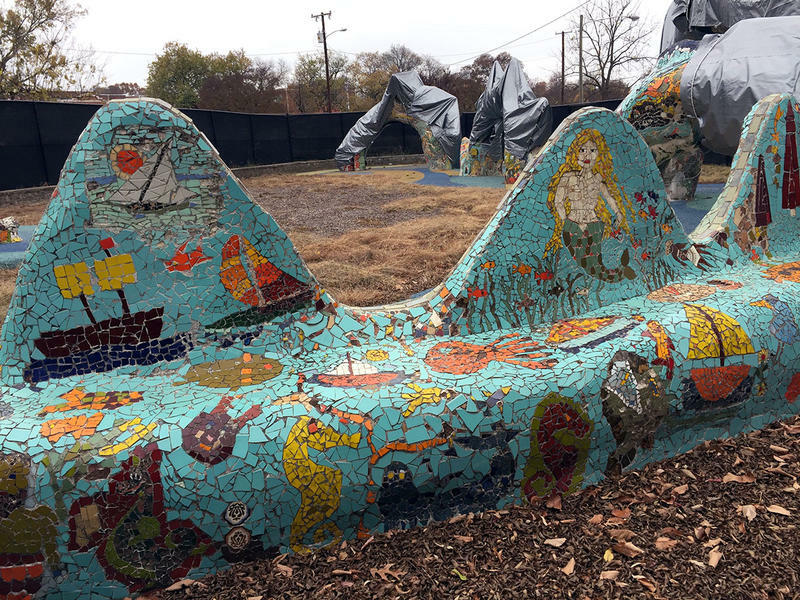 What's the story behind the mosaic dragon in the park in Hillsboro Village? 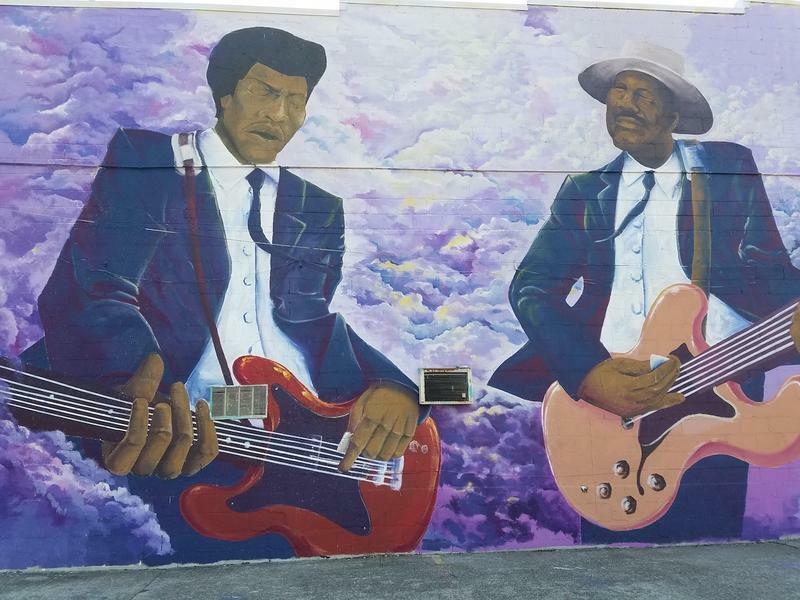 Curious Nashville: Why Did Jimi Hendrix Play Jefferson Street? This is a shortened version that aired Wednesday, Jan. 4. For the complete Curious Nashville podcast episode about Jefferson Street's R&B scene, click here. Before he was an international superstar, Jimi Hendrix spent a year on Nashville's Jefferson Street. It's a chapter in the guitar legend's biography that's often glossed over. What is the history of the Nashville reservoir flood, and what is the reservoir’s use today? The reservoir in question is the 8th Avenue Reservoir.